Wondering how effective your SEO campaigns are? Our expert Shane explained the most important steps and some favourite tools that can help you to measure the success of SEO Campaign & how to keep track of these indicators. SEO campaigns are the drivers for your website’s online presence and visibility. But results can take months to kick in, and if they don’t, you need to improvise. For that, you need to see how well your SEO campaigns are doing. 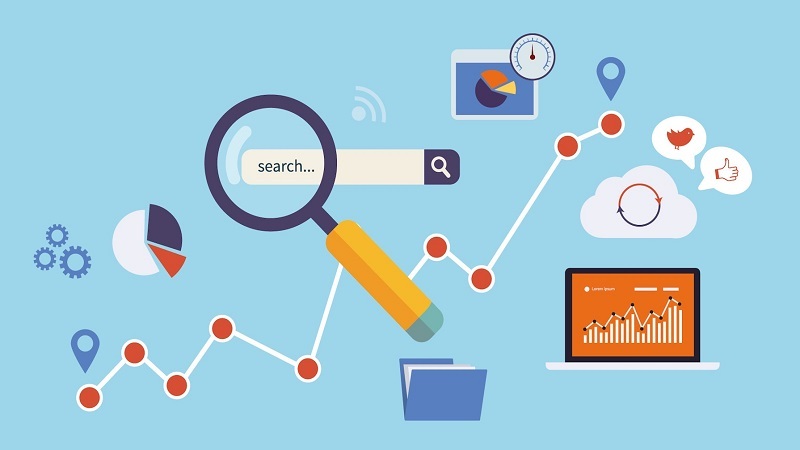 Measuring the success of your SEO campaigns is easier said than done. It requires the in-depth analysis of a lot of data. From keywords to organic traffic and backlinks, there is a lot to keep track of. Each performance indicator can make or break your whole SEO campaign. The art of mastering SEO can take ages, but we’re here to make the learning phase easier for you. We’ve listed a few of the most important steps to help you figure out how effective your SEO campaigns are. When a user types a keyword, search engines give a results page that has relevant website links as well as advertisements. If your website ranks well for a specific keyword, it will show up sooner in the search engine result pages (SERPs). This helps you with brand awareness and even gives you more visibility. Which, in turn, gives you more organic traffic. Getting ranked on the first page or as the first result in the search engines is a high priority for websites. 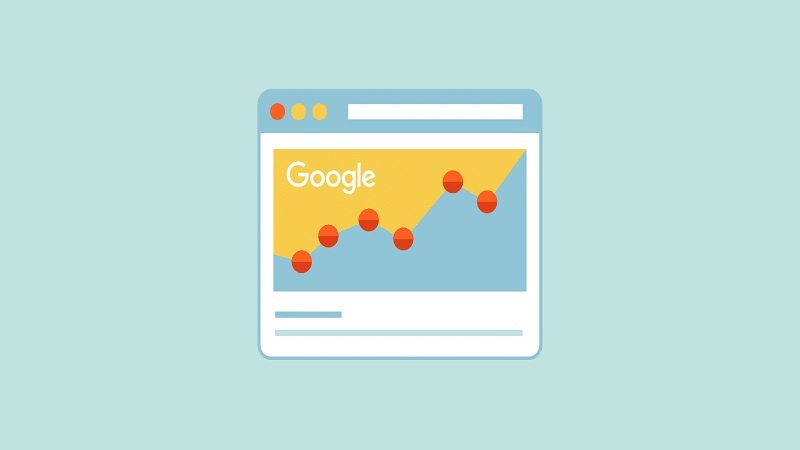 If your website ranks well, organic traffic will automatically come to your website. For this, you constantly need to check your keyword rankings. If your rankings decline over a period of time, that means your traffic will take a hit. Your keyword rankings alone cannot point out the problem with your SEO campaign. However, they can quickly tell you that something is not right. So it is important to perfect your keyword game for SEO. Getting more visibility is great, but ultimately converting visitors into customers is what you should be aiming for. 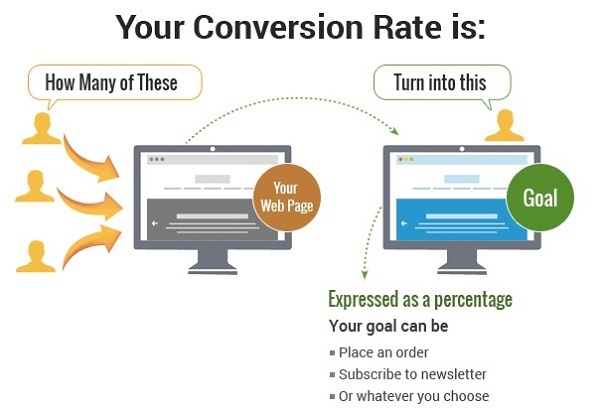 Conversions tell you how many visitors completed your call-to-action, which could be purchasing your product or service, or signing up for your newsletter or a free trial. The higher conversion rate that you can achieve, the better. It means your conversion rate optimization (CRO) practices have been successful. You can directly track your conversion rates via Google Analytics. Backlinks are another important ranking factor. If another website links to your webpage, it is likely that you will be ranked higher up on search engines. Obviously, these need to be relevant, high authority websites. If you have a large number of links from authority sites, they can help you get an edge over your competitors by getting higher rankings in the SERPs. 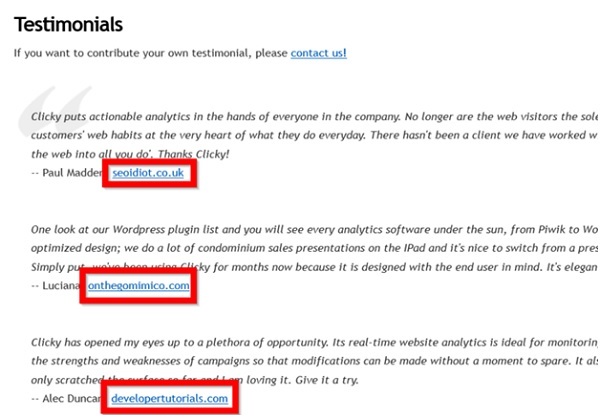 Other websites linking to you build credibility for you and show that your product or service is useful to others. So make sure you’re consistently getting backlinks. Otherwise, your SEO campaign will come to a standstill. 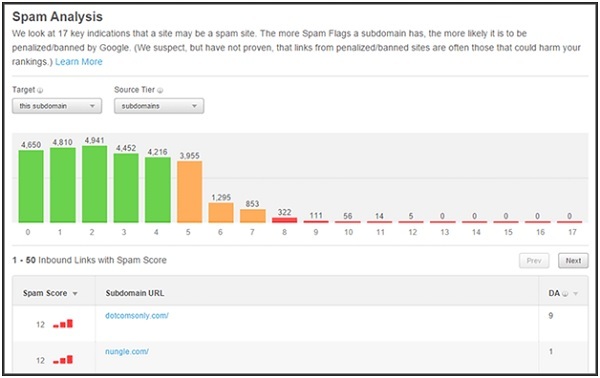 Your spam score can affect your website’s domain authority drastically. And that can affect your website’s rankings. Your spam score can define how trustworthy your website is. It is graded on a scale of 0 to 17, with 0 certifying the highest trustworthiness. Your spam score increases if your website has many inbound links from websites that have low authority. If you link to websites that have high spam scores, you risk affecting your backlink portfolio as well. You also risk getting penalized by Google. A high spam score is detrimental to your website’s authority. So if you have a high spam score, you should work lowering it. You can find your spam score and then eliminate all of the bad inbound links accordingly. This is important because bad links can undermine your site’s authority. Don’t just look at the changing numbers for your website traffic. Try to delve a little deeper into the subject for better insights. Traffic quality can help you figure out how well your SEO campaign is working. Check the number of pages per visit and the average visit duration to find out what is popular. Also check your bounce rate. If your website is getting traffic but your bounce rate is too high, that is a problem. Similarly, if the average number of pages visited is low, then you aren’t getting quality traffic. It could also mean that the keywords that you are targeting aren’t working very well. If you keep constant track of these indicators, you can change your strategies whenever required. While working on SEO campaigns, you have to constantly be on the lookout for what’s working and what isn’t. It’s a constantly evolving process and you’ll need to adapt your strategies to optimize your campaign. Don’t get too overwhelmed by the number of things you need to keep an eye on. There are some tools that can help you keep track of these indicators. Let’s take a look at some of the best SEO tools. 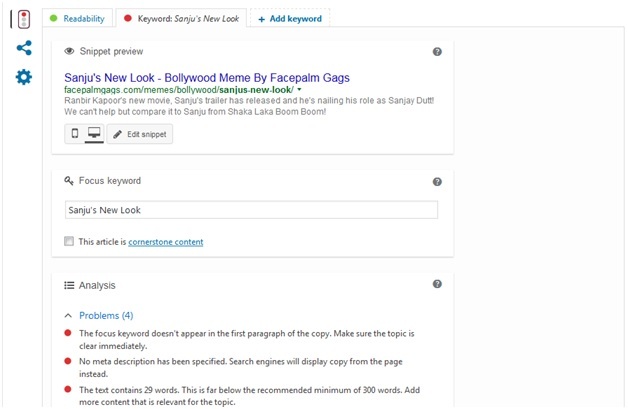 SEMrush makes SEO analysis extremely organized and easy. Once you register, you just need to enter the URL of your website. From there, the tool tells you everything you need to know about your keyword rankings and organic traffic. You can check your yearly as well as monthly search volumes. It also lets you compare your website’s performance with that of your competitors. And it can even track the number of backlinks that have been created. Most of these features are free, but for a detailed report, you’ll need to sign up for a premium account. SEMrush also has a special link building tool that can help you build backlinks. It also gives suggestions on the kinds of content and keywords that may work well for you. 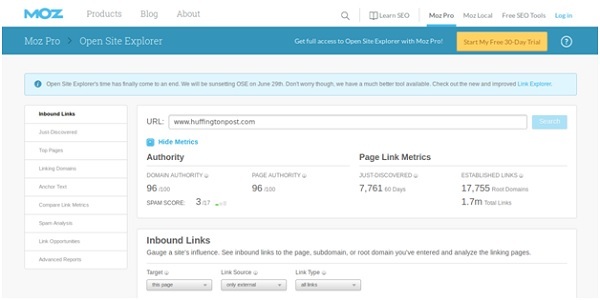 This tool works like an SEO expert for your website, for free. It analyzes your content and website’s performance. 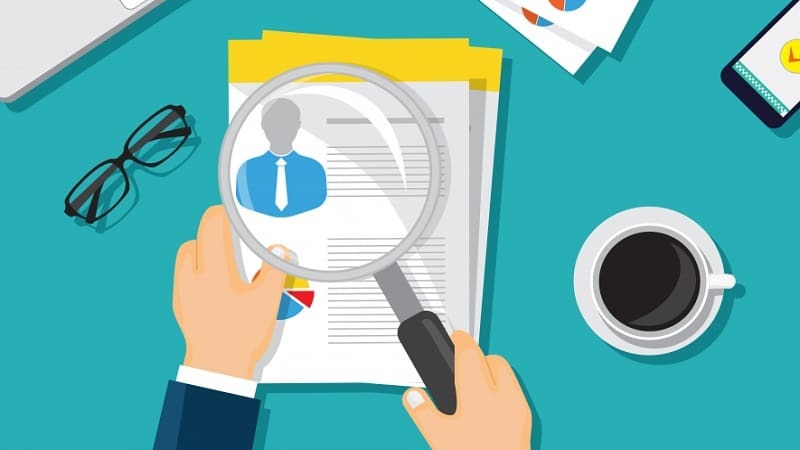 After that, it prepares a personalized report for you that also has suggestions on how to improve your performance. Their report analyzes your website’s traffic, visibility in search engines, social media outreach, and other factors. Keywords, mobile readiness, and security provisions on your website are also covered. The report gives your website a score between 1-100 to show you how much you need to improve. 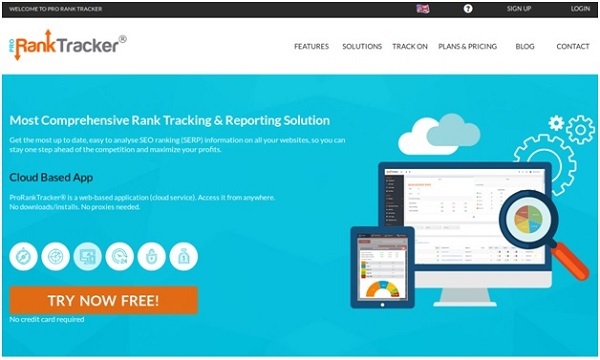 Pro Rank Tracker can help you discover your website rankings in different search engines. It also suggests keywords for your URLs. And if you are already ranking for a particular keyword, it will help you discover other relevant keywords you could try to rank for. For SEO experts and companies, their shared reports feature is very helpful. It allows analysts to quickly share reports with their SEO clients. These reports get automatically updated once a day. So it enables you to see the most recent information. Their advanced reports also show how well your keywords rank in local searches. Similarly, for mobiles, they show how effective your visibility is. For videos, it can also track your videos’ rankings in the YouTube search results. Seobility conducts SEO audits of your website to help you improve. To check optimization of target keywords, they have a special keyword checker tool. It also gives you tips on how you can improve your SEO rankings. For a single keyword, you can also compare SEO on different pages. If you input a keyword, you can also check how well your page ranks for it. Moz Open Site Explorer helps you with your research of backlinks, anchor text, and landing pages. Their free version has a lot of features, but their Pro version lets you use their complete SEO toolkit. It can help you find relevant keywords, and track your rankings for each one. And it also allows you to analyze your spam score and page authority. Google Analytics has a goldmine of data that can give you important insights into the effectiveness of your SEO strategy. You have to enter your website’s URL and Google Analytics will fetch real-time data for your website. It is a powerful tool that lets you find the number of users on your website. It also gives you insights into audience demographics. So you can find out the locations of your users, their genders, ages, and more information. It also tracks users’ movements on your website. So you can find out the average time a user spends on your website. Additionally, you can view your website’s bounce rate. It allows you to link your account with AdSense as well as AdWords. That way you can get a better perspective of the performance of your advertisements. Yoast SEO is a must-have for all websites that use WordPress. This plugin can create an XML sitemap for you so that your website can get indexed by the search engines. They have professional and free versions. Even if paying for premium features is beyond your budget, make sure you install it. Their free features are extremely helpful. It helps content writers and creators figure out if their content is strong in SEO. It has separate options for SEO titles, meta descriptions, and slugs. While the content is being written, it indicates if any changes are suggested to make the text more SEO-friendly. It also has an option to set a keyword for your article. Yoast SEO shows you the quality of your content’s SEO before you publish it. With the suggestions mentioned, you can even improve your SEO before publishing your posts. It’s a tool that ensures that publishing content and SEO go hand in hand. Google PageSpeed Insights can show you how much time your webpage takes to load. After you enter your website’s URL, it tests your website’s performance. 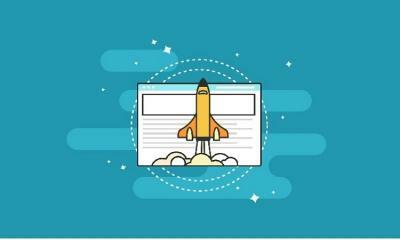 In their detailed report, you can find suggestions that will help you optimize the load speed of your web pages. How long it takes to load a webpage is considered to be an important aspect of SEO. If your loading times is lower, search engines are likely to think that you care more about user experience. That, in turn, can fetch you better rankings. Google PageSpeed Insights can help you improve upon this metric. It also tests your page load speeds on mobiles and desktops. This make it easier for you to troubleshoot issues and optimize page speed. Ahrefs helps you find out more about your competitors’ keywords and traffic. 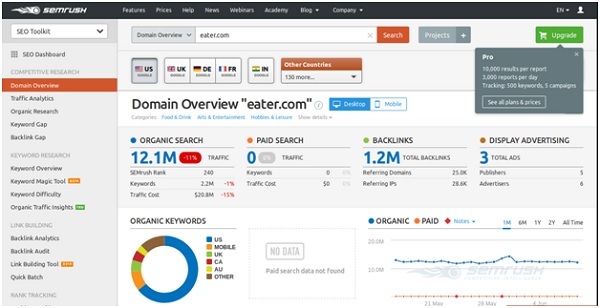 It is a paid tool that can help you gain insights into your competitors’ SEO strategies. You can also use it to do more research for your content and track your website’s rankings. It covers everything in one package. Additionally, it allows you to check backlinks, SERPs, broken links, organic searches, and more. All of this is neatly organized in their toolbar, so it is easily accessible. Every time your website gets a new backlink, or gets a new keyword ranking, they’ll send you a notification. Before you start writing content, you can check keywords with KWFinder. You can find the search volume for a particular. It shows you the difficulty level for each keyword, and even shows the top links for each keyword. This makes it easy for content creators to stay ahead of their competition. You can check two results on their website for free every day. For more results, you will need to register. 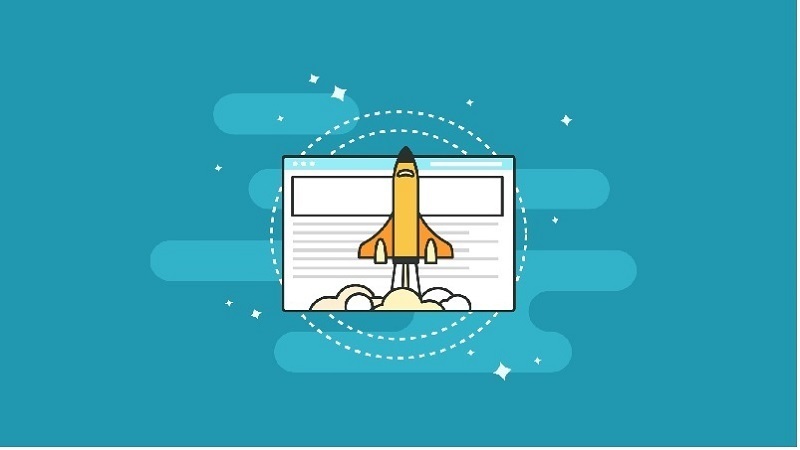 To create a successful SEO campaign, you need to plan your strategy well in advance. But planning is not the only thing. You need to constantly keep track of your keyword rankings, backlinks, and other ranking factors. Then you will know where and how to strengthen your SEO efforts. As mentioned above, there are various free and paid SEO tools available online that can help you get the best results. Can you think of any other ways to measure the success of your SEO campaign? Please share your suggestions and tell us more about your experience in the comments section below.